Fabulous capture - Love elephants! Great to see a whole herd! WoW! What an experience to see these beautiful animals in their natural habitat. Great capture and narrative. Great capture! What a sight! Is there white birds there also? 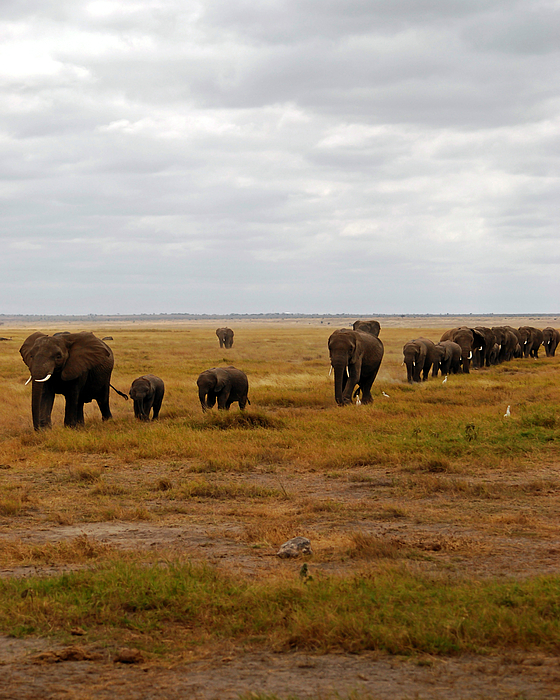 Amboseli National Park sits on the southern edge of Kenya near the border of Tanzania. It offers a variety of landscapes including marshes and savannah. It most popular for it's amazing view of Mount Kilimanjaro. 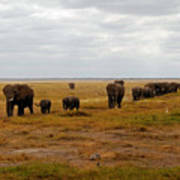 It is also very well known for the large amounts of elephants that call Amboseli home. 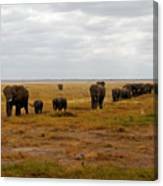 Herds can be seen coming into the marshes early in the morning and leave as the sun goes down. 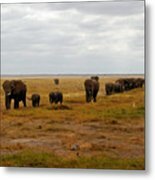 These large animals are well protected in the park and several elephant research groups work within the park to protect these animals. This herd was heading in early in the morning. They are guided by the matriarch of the family. It the distance a lone elephant follows. It is probably a young bull that is too old to be a part of the herd that is made only of females and immature males. Pamela Peters is the owner of Wild Radiance Photography. She is a wildlife and nature photographer from Richmond, KS. She is also an author and public speaker.